Panda Bear needs to harvest the fruits on his farm before being attacked by pests. In order to harvest, he needs fruit baskets, which can only keep 6 fruits at a time. The number of baskets is limited so in the process of collecting fruits, he has to find more baskets. That can be tricky! 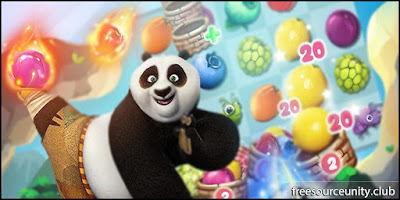 The Panda will need to overcome challenges such as obstructing vines, tornados, poisonous spiders and worms that can get in the way of the fruit harvest. - Support Unity 5.3.4 or high. - Vungle ads / Unity ads / Admod ads / Pubcenter ads. 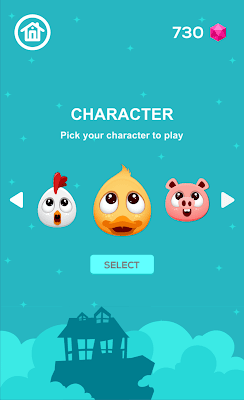 Educational and entertaining collection of mini games, including puzzles, fishing and bone digging and cleaning games. Interactive map and creative gameplay enable fantastic user experience. 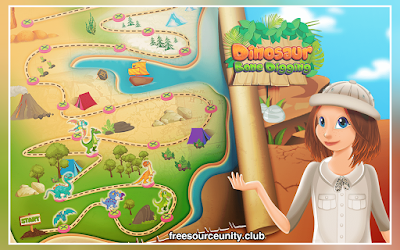 * 1.DIGGING UP BONES – dig up holes and excavate dinosaur bones! * 2. FISHING FOR BONES – fish out fossils from the ocean! the bones into a dino puzzle! once your dinosaur puzzle is completed! - AdMob and Unity Ads integrated. 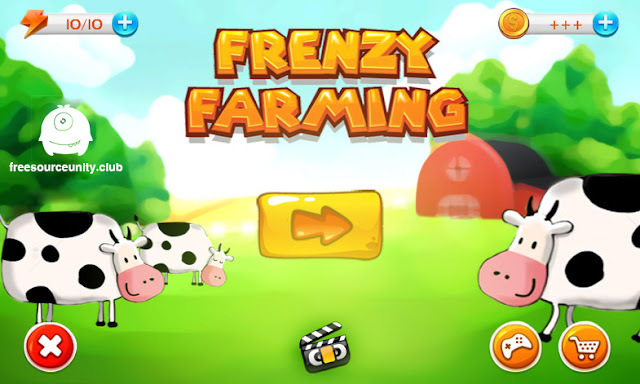 Frenzy farming is the answer to all your needs. This is a unique time-management strategy game kit which allows you to design and play hundreds of different levels with different missions, themes, objectives and properties. * This is a complete game template with Menu, Shop, Map, Objectives, Pause, Report and 10 Game scenes. 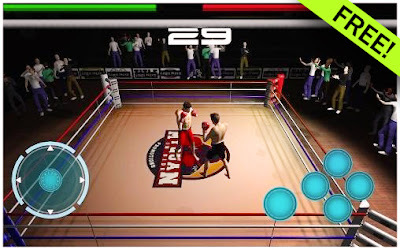 * Unity video Ads and AdMob ad sdk are integrated to help you have a better monetization strategy for your investment. * Unlimited number of levels & missions. * Advanced export interface to sell the farm items. - Daily/Hourly prize widget included! * Easy to monetize, perfect to learn. * Supports Android, iOS, Windows Phone and Standalone platforms. * Can be used as a base to prototype similar farming games. * Can be used to build a 2D or a 3D game at no time! * Extremely flexible to reskin and re-master. 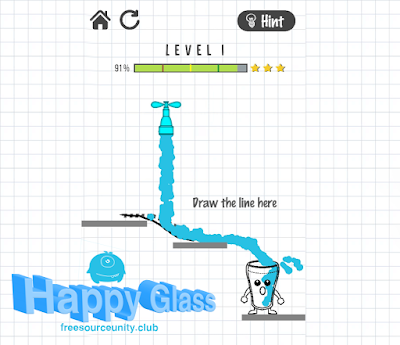 Happy Glass – Draw Lines is New Draw Line Puzzle game. The glass is sad because it’s empty. Your job is to draw a line to make the glass filled up with liquid and smile again! - 100 Levels with more coming soon! - Fun and relaxing theme that will make you stay for quite some time! - Simple, smart and fun puzzles but can be challenging too! - Dynamic Mechanism. Draw lines freely to complete levels! - Easy to add levels. - Made and Supports Unity 2018.
a strange toxic substance has entered the city and the inhabitants of the city have almost turned into zombies. 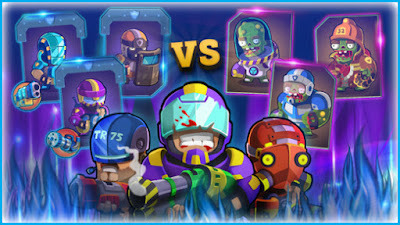 The Zombies are very ferocious and can destroy anything that prevents them. – 8 soldier with different skill and strength. – 3 skills you can using. – There are many diversity quests to earn more gold and gem. – Get your free ward every day. – Over 40 level. The difficulty of each level will be increased, requires you must have a great skill to complete. 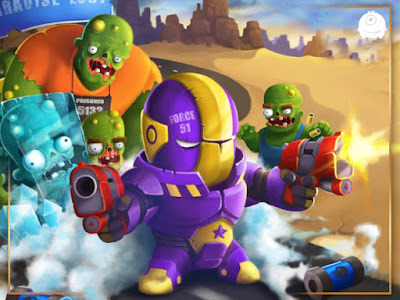 – You will get gem and gold after complete each level, the reward will be increased after each level and you will get more reward if you complete the level with more star. – With the library system, you view detail of zombie’s information, this will help you have reasonable tactic to kill every zombie. 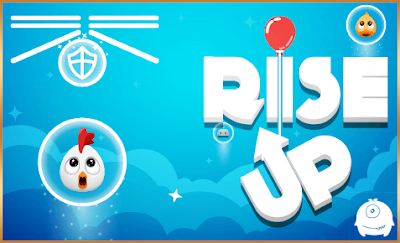 Rise Up (top free game on Android and iOS) is one of the most challenging and fun games of 2018. Protect your balloon with your shield while it’s rising up! Beware of the obstacles. - Classic mode and challenge mode. - Support multiple screen sizes. - The source code is clean and professional. Kings Solitaire Card Game; experience the crisp, clear, and easy to read cards, simple and quick animations, and subtle sounds, you can play with portrait views. you can move cards with a single tap or drag them to their destination. You can either play the easy Draw 1 games where most games are winnable or if you feel up to the challenge, try your luck with Draw 3 and Vegas play modes. - Single Tap or Drag the cards. - Smooth Animation, Good Sounds, Musics. - Optimize and Mobile friendly. - Undo and hint cards. - Two styles of cards and UI. - IAP for remove ad. 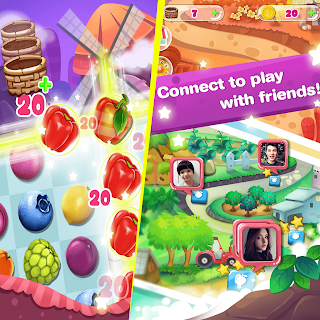 a simple game, Candy Farm is the game included in the harvesters, the candies and the candy producing. You will play a role of a harvester to make and pack the sweet candy. How to build source code (build android, ios)? How to used free gold? How to reskin sound and image? How to set up the levels? How to integrate Admob, Vungle, Tapjoy? - Boxer glove, short models. - Many bug fixes and optimisations.